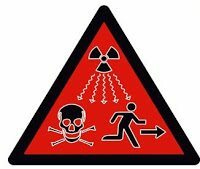 Home Chicken Topics Chicken Care Bad Egg in the incubator- a Ticking Time Bomb. Hatching addicts who have come across a rotten egg in their incubators never forget the smell. The odor is distinctive and unmistakable. Rancid does not begin to describe it. 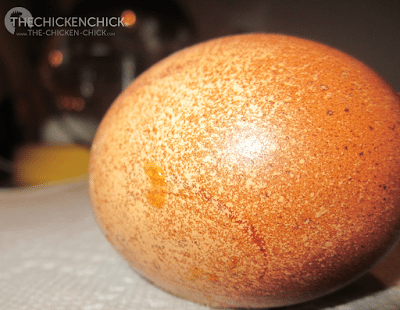 Why do incubated eggs go bad? Often, dirty eggs are the culprit. Bacteria from a dirty egg grows inside, turning the contents into a foul liquid, killing any embryo present. Gasses build up and generate pressure that may cause the egg to ooze or explode. I rescued this egg from one of my fairweather broody hens, who had abandoned her nest after two weeks of sitting. The egg was no longer warm when I found it, which didn’t give me much hope for the embryo’s viability, but I placed it in my incubator hoping for the best a few days ago. Upon inspecting the eggs that had begun to hatch in the bator this morning, I immediately spotted the telltale, maple syrup-looking ooze that strikes fear into the heart of every hatcher. I knew what that innocent, honey-like substance signaled as I had seen it before. A stink bomb in danger of detonation. Must. Act. Quickly. I took the egg out of the bator and placed it in two, zip-top bags and took it OUTSIDE. I’m just not a risk taker and the smell of a rotten egg is so pungent it could very well penetrate the confines of two sealed, plastic bags. I always insist on knowing what lies within, so of course, I had to perform an eggtopsy (ie: crack that bad-boy open). My weapon of choice for this job is a heavy carving knife. I tap the blunt edge of the knife against the wide end of the egg (where the air sac would be) to crack it, being very careful not to puncture the bag. A nice, ripe egg will explode with balloon-like force and sound. 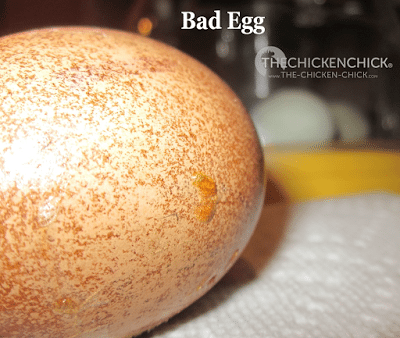 When candling eggs, pay attention to any smell inside the bator to catch rotten eggs early. Bad eggs readily identify themselves and should be removed immediately. Candle them to see whether anything is moving inside the shell. My hen is still laying on eggs that should have hatched by now but i am not smelling any bad odor so im not sure cause some of the eggs hatched already 3 days b4. What should i do? 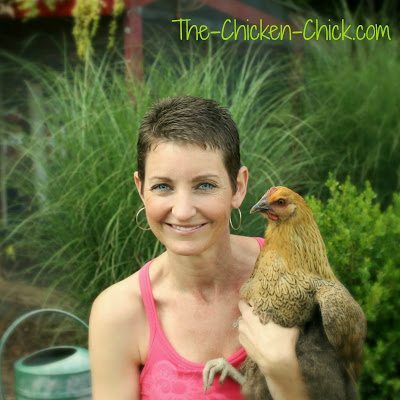 I have a question, I have a barred rock hen that has been sitting on 12-14 eggs. she has been very dilegent, but yesterday got some chicken poop on some eggs, is it better to take eggs out and clean them quickly and refresh nest, or leave them be? it has been about 16-18 days we estemate.